Mississippi has brought us root beer, the blues and some of the great writers of American literature (William Faulkner, Tennessee Williams and Shelby Foote, to name a few). It gave birth to Elvis, Oprah, the Teddy Bear (inspired by a 1902 hunting trip in the state where Teddy Roosevelt refused to shoot a live one), and that staple of household cleansers, Pine Sol. It's the site of several key Civil War skirmishes, some of the most breathtaking antebellum homes in the South- and awesome seafood! 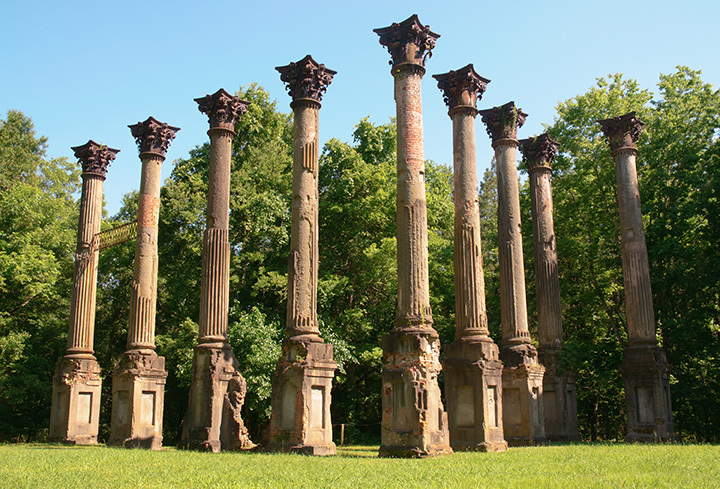 Got a hankering to explore the Magnolia State? Check out 20 of the coolest things to see and do. This tiny town played a key role during the Civil War, and this fascinating museum sheds light on one of the lesser-known chapters in that conflict. It's one of the most significant battle sites of the Civil War, one that ended in a long siege and the ultimate surrender of the city. As long as you're at Vicksburg National Military Park take in this amazing display of one of the Confederacy's ironclad ships that resides in the park. It was raised from its watery grave, and the artifacts retrieved are pretty amazing. Since 1889, the week-long fair has earned a reputation as "Mississippi's Giant House Party." No wonder thousands of folks from other parts of the country descend to check out the full spectrum of events. About 11 miles off the coast of Gulfport/Biloxi is this serene white beach. Take a relaxing boat ride to get there, then relax even more in the clear blue waters of this barrier island. Clarksdale is considered the home where blues music began, and this fantastic facility showcases its rich history. A must-visit. It's a gorgeous (and historic) scenic route that follows a Native American footpath. Because the speed limit is 50 mph (and no trucks are allowed), you can take your time and take in the sights. Over a few days in September, you can indulge in amazing local seafood and enjoy great live music, local arts and crafts and more. It's been a tradition for over 30 years. Besides being tranquil and beautiful, there are so many interesting stories associated with those who are laid to rest here. The cemetery offers both a CD and a map that gives you the insights.